Our mission is that every item on the menu is the best quality money can buy. We pride ourselves on our dough that is made fresh, daily and our pizza sauce that is made from scratch. We want our customers to have a pleasant and enjoyable dining experience when they visit us. Our promise is to serve the most original, authentic New York style pizza around. 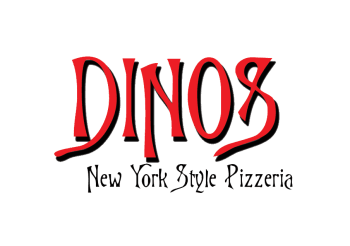 Celebrate your child's birthday at Dino's New York Style Pizzeria! We will host your parties on Saturdays and Sundays from 11 a.m. - 4 p.m. Simply call, reserve your date and leave the rest to us. Each child will create their own pizza and ice cream sundae. Make your child's birthday one to remember!